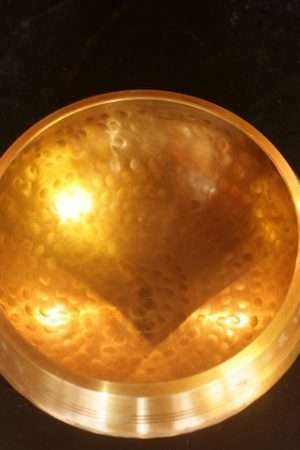 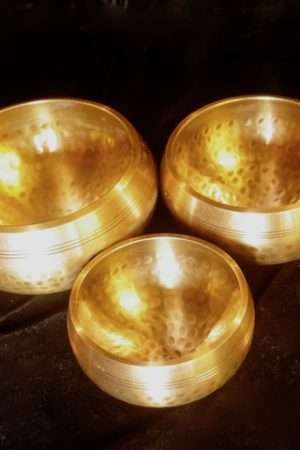 Large variety of singing bowls in different sizes with great resonance. 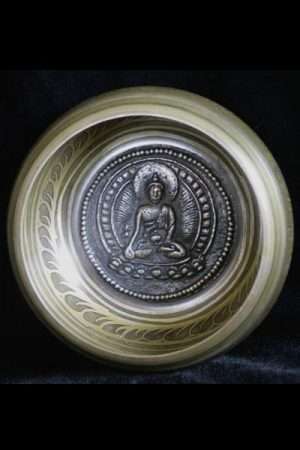 Range from Carved Buddha singing bowls (25cm) to smaller 10 cm. 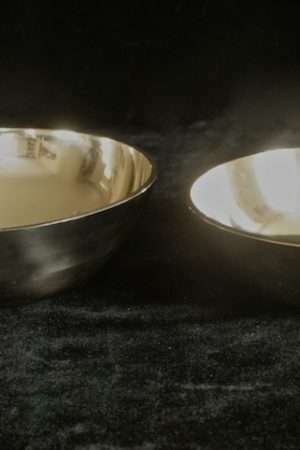 Hand-beaten (each with a unique sound and tone) and machine-made with flat design, high sided or curved. 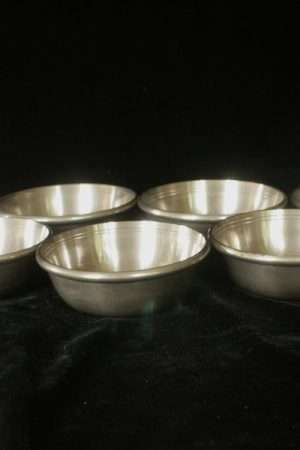 These all have a lovely clear sound and are great for singing i.e. 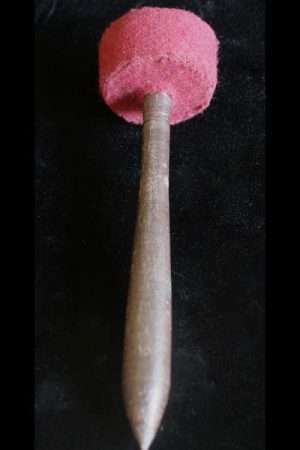 slowly rolling beater stick round the rim. 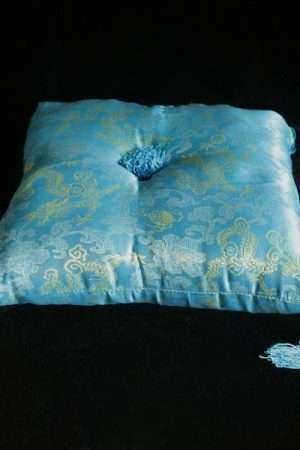 Cushions available too. 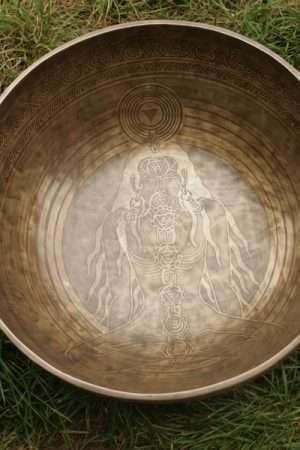 Each bowl comes with a stick. 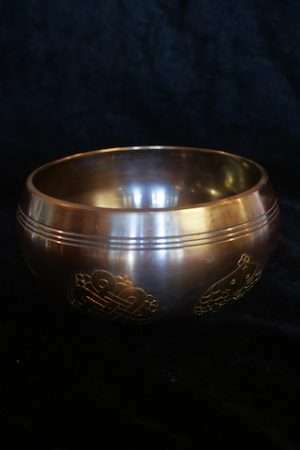 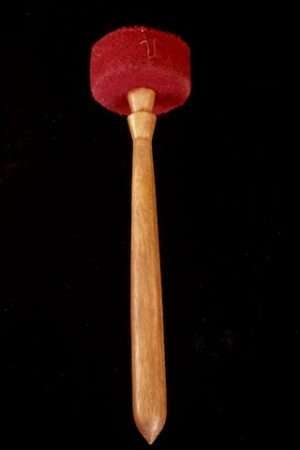 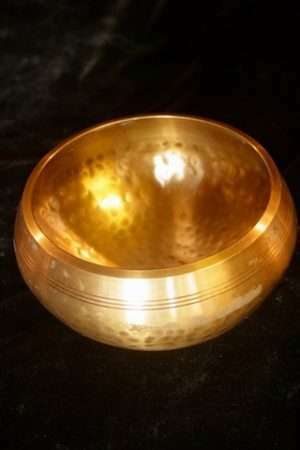 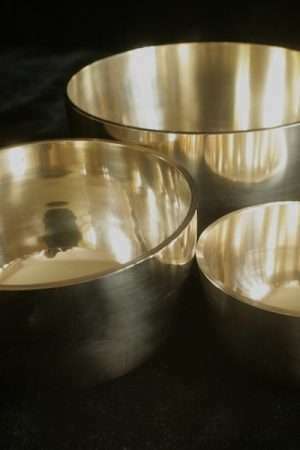 Singing bowls are used for meditation, music, relaxation and healing, and personal well-being. 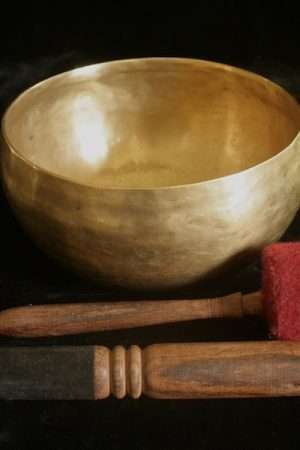 In Buddhist practices, singing bowls are used as a signal to begin and end periods of silent meditation. 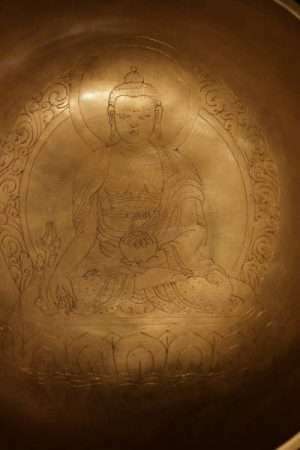 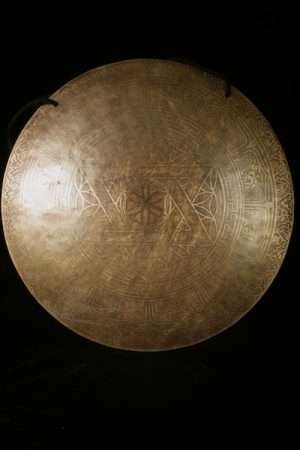 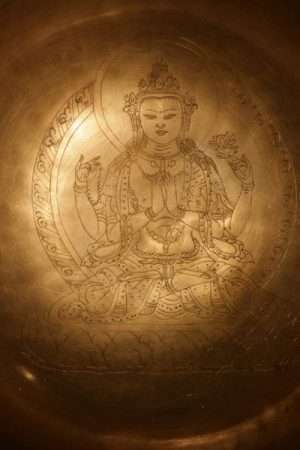 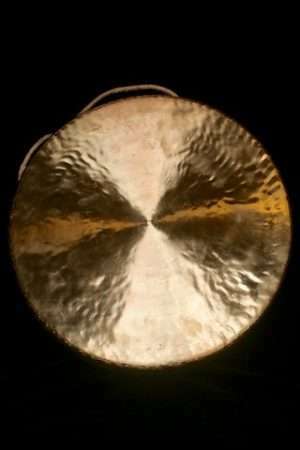 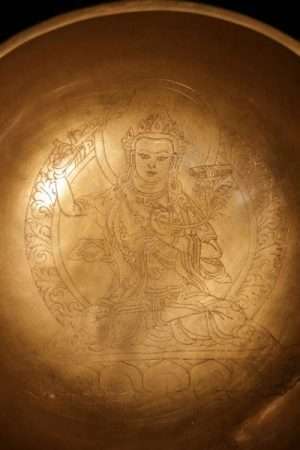 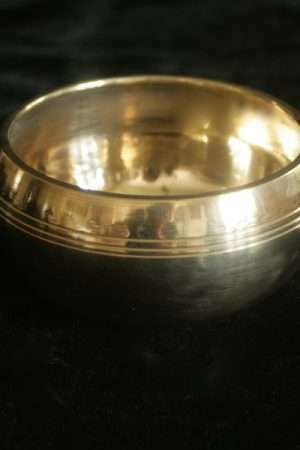 Some practitioners use the singing bowl to accompany chanting, striking it when a particular phrase is chanted. 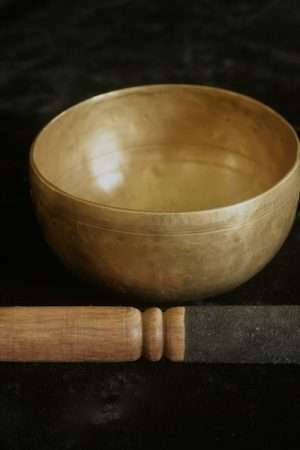 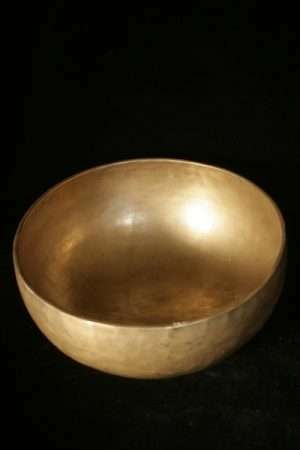 In Japan and Vietnam, singing bowls are similarly used during chanting and may also mark the passage of time or signal a change in activity, for example changing from sitting to walking meditation. 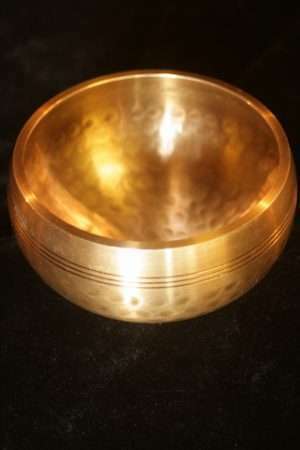 In Japan, singing bowls are used in traditional funeral rites and ancestor worship.